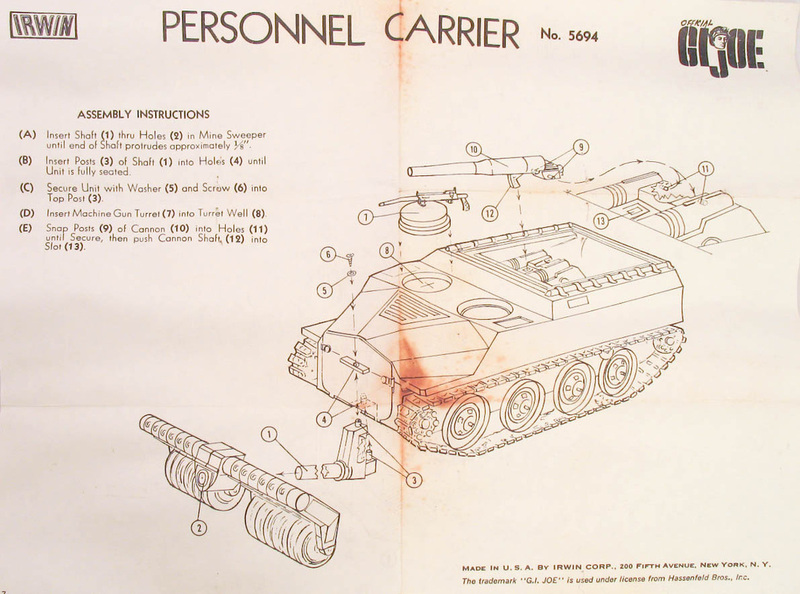 A vehicle that tries to cover all the bases, the Personnel Carrier (5694) is also a self-propelled Howitzer, and a Mine-Sweeper. A bit out of scale, it's still great fun with its moving tracks. The road wheels are just the same tires from the Duck and Sidecar turned backwards. 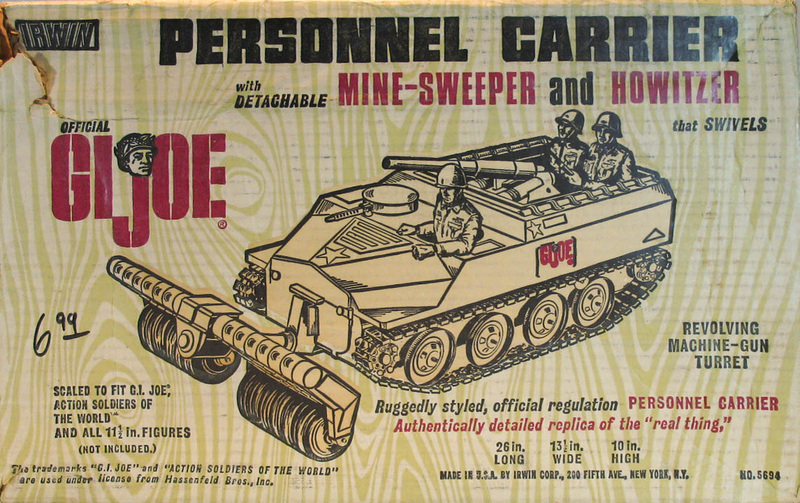 Note how the mine-sweeper is attached. 90% of those I see have the shaft installed upside down.